Manchester United‘s upcoming pre-season tour is set to have a major impact on Luke Shaw’s career at the club. The 23-year-old has undeniably endured a rough spell at the Theatre of Dreams under the management of Jose Mourinho, with injuries, exclusion from matchday squads, and public criticism from the gaffer being fairly common occurrences. After having fallen behind Ashley Young in the pecking order last season, Shaw managed to make only 19 appearances throughout the course of the 2017-18 campaign, only 8 of which were Premier League starts. To add to his woes, Mourinho has also been actively looking for long-term left-back options in the transfer market, with the Red Devils being consistently linked with one player or the other. So far, Spurs defender Danny Rose, Juventus’ Alex Sandro, Celtic youngster Kieran Tierney, and Fulham starlet Ryan Sessegnon have all being strongly linked with a switch to Old Trafford, but none of these moves have successfully materialised. Moreover, Daley Blind appears all set to finalise a return to Ajax, whereas Matteo Darmian’s representatives are still locked in negotiations with Juventus over the Italy international’s switch to Turin. But Shaw, on the other hand, hasn’t received any concrete offers from elsewhere since Newcastle withdrew their interest back in January, thereby diminishing the chances of the former Southampton talent securing an exit this summer. United are very much aware of the fact that this could lead to them losing Shaw – a player they brought in for a record fee of £27m – on a free transfer next summer. To avoid this scenario, the club is preparing a new contract for the full-back, as per M.E.N. 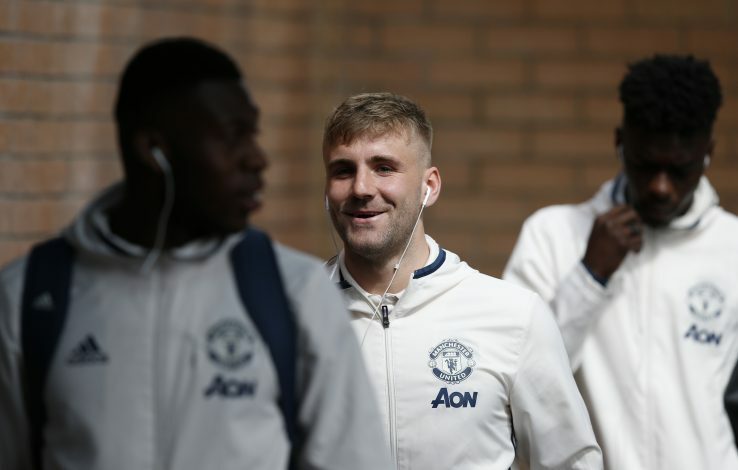 The same report adds that Luke Shaw himself intends to stay at the Mancunian club beyond 2019, and he shall make full use of the upcoming pre-season tour to make the left-back spot his own once and for all. With Blind and Darmian likely to depart, and Ashley Young on an extended holiday following his World Cup campaign with England, the only competition Shaw would face for game-time during the US tour would be from academy starlet Demetri Mitchell. Therefore, with such a golden opportunity on the horizon, it literally is a ‘now or never’ situation for the promising English full-back – one which would definitely make a humongous impact on the rest of his professional career.